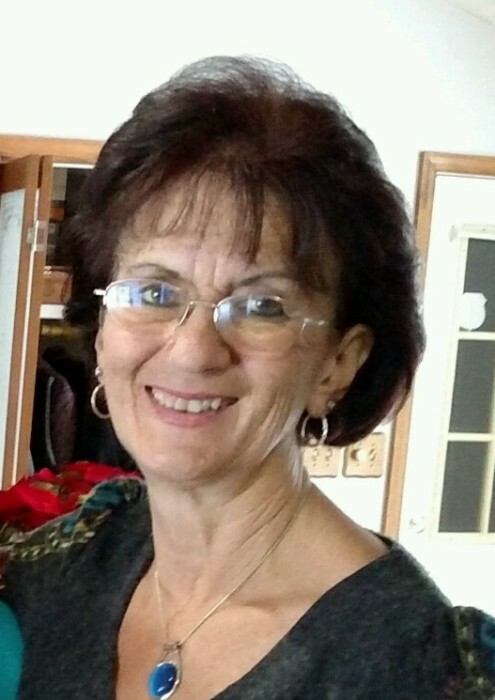 Donna Marie Hobart Corall, 58, went to be with the Lord on Monday December 3, 2018. She was born in Woburn, Massachusetts, daughter of the late Kenneth C. Hobart and Ruth E. Grout. She was a member First United Methodist Church in Mount Holly, was a PAC 59 committee chairperson, participated in Meals on Wheels, and was a kitchen helper for Celebrate Recovery at Catawba Heights Baptist. She taught the Kids Club on Wednesday nights at FUMC. She was a devoted wife, mother and grandmother. She was nicknamed Hurricane Donna because she always gave everything her full effort. She never met a stranger and was loved by many. She is survived by her husband Bill Corall, 3 sons Edward Abraham and wife Sonya of Bettendorf, Iowa and Stephen Abraham and wife Kristi of Lowell, Massachusetts, and William Corall of North Bend, Washington, daughter Jennifer Corall of Mount Holly, grandchildren Mackenzie and Tyler Abraham, Xavier, Nathan, Evan and Jocelyn Abraham, brother Kenneth Hobart of Limerick, Maine, 4 sisters Eileen Irons of Auburndale, Florida, Judy Hobart Nashua, New Hampshire, Denise Kennedy of Mint Hill, NC and Dianne Millar of Bear Creek, NC and numerous nieces and nephews. A memorial service to celebrate the life of Mrs. Corall will be held 4:00pm Friday December 7, 2018 at First United Methodist Church in Mount Holly with Pastor Mike Carr officiating. The family will receive friends following the service in the church fellowship hall. In lieu of flowers, memorials may be made to First United Methodist Church 140 N. Main Street, Mount Holly, NC 28120.